Minimalist? 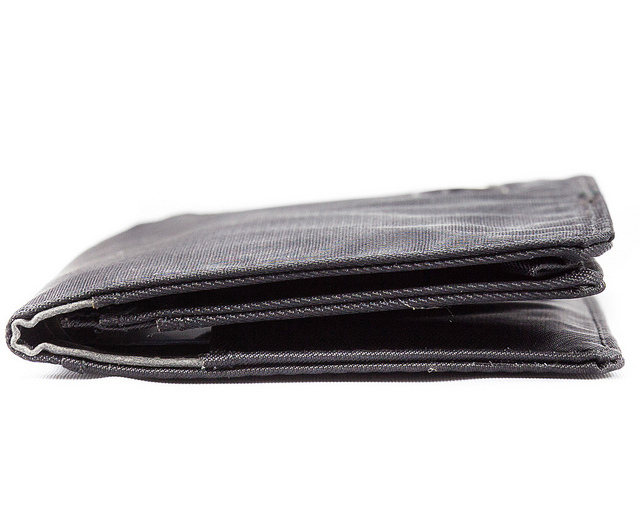 No need for a full wallet? 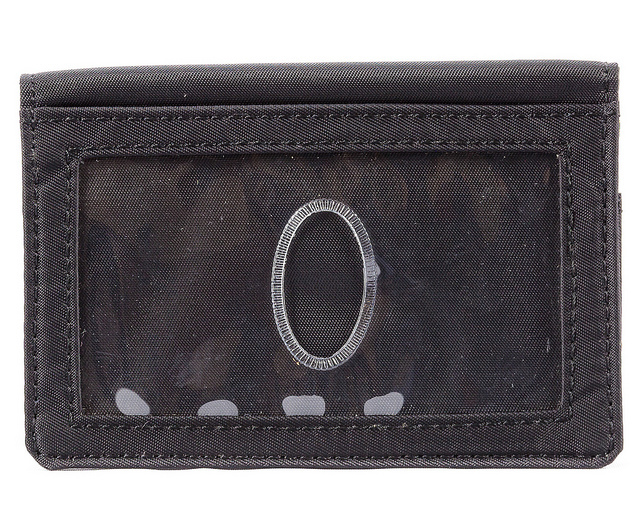 Our Card Holder is now available with RFID blocking material to help prevent thieves from getting your information. 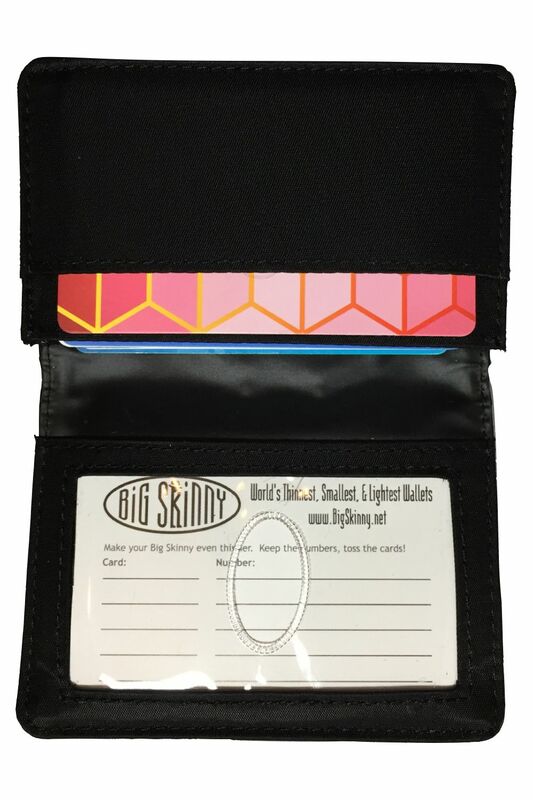 This smart little card holder packs a punch with two ID pockets which hold about 4 cards each, one deep gussetted pocket which scales and holds about 20 plastic cards and one bonus pocket which hold about 3 cards. Crafted from our signature machine-washable nylon microfiber. only 1/4" [5mm] thin when closed! I use this as a front pocket wallet. It holds a lot of cards without a lot of bulk. 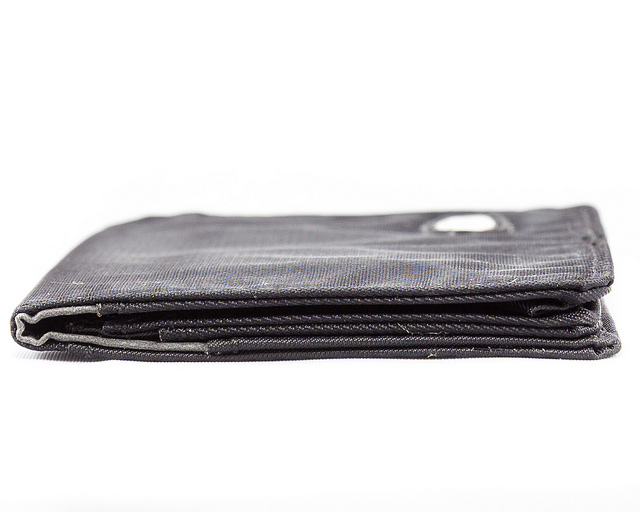 Some cash can be folded up and put in the pocket, or it can just sit in the fold. Like the RFID blocking capability too. I bought this for my husband because his last skinny wallet finally gave up the ghost after about 6 years. We got the RFID one this time. This thing is amazing, still so lightweight, but holds an amazing amount of cards and cash. It's not bulky in his pocket, it's just sleek and Light. Will be getting more. He absolutely loves it, he said there's nothing he would change about it. 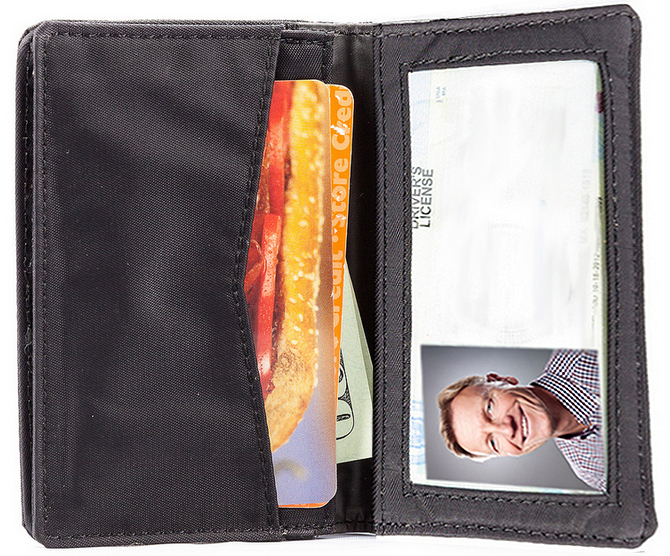 Really great for carrying ID a couple of cards and cash. When traveling off cruise ships or a night out. ProsSize (Skinny) Pockets - several ID sleeves. 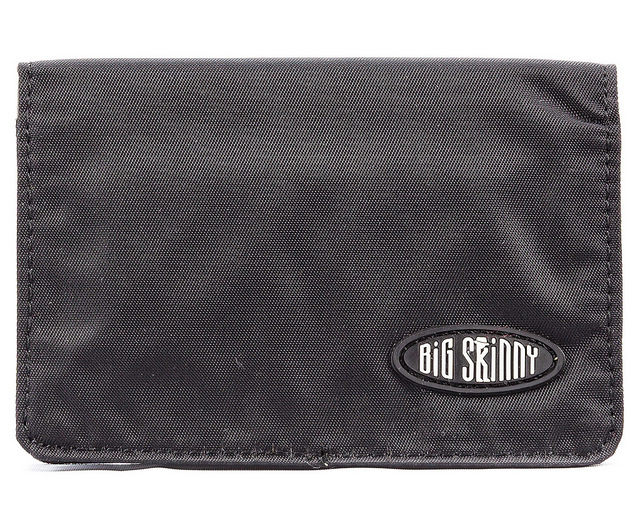 Ive made multiple purchases from Skinny for self & others, and referred many to Skinny. No more purchases or recommendations from me. When a company egotistically replaces & "IN GOD WE TRUST"; with & "IN SKINNY WE TRUST",& that has gone too far. GOD made every person that works at/for SKINNY, while they make/market things made by humans for sale. Great card dual id card holder. 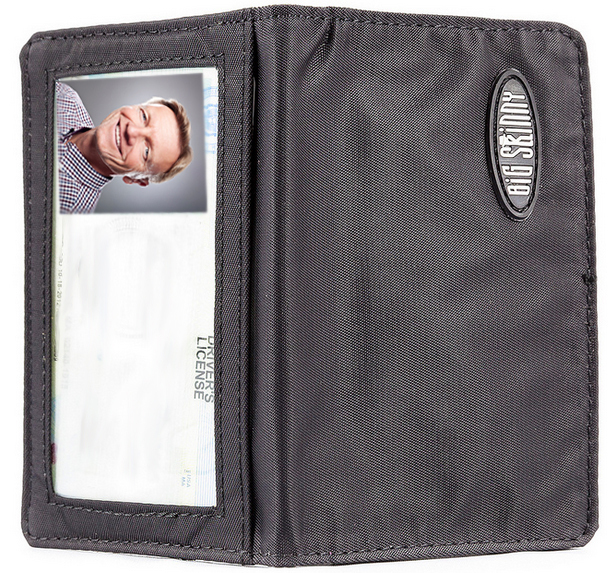 The bigger card holder in the back holds a lot of cards and needs to have some cards to prevent the cards in the front pocket from falling out. I only use this to carry cards. Mostly credit cards and store cards. I also tuck money and checks inside. If I fold it into thirds, it fits nicely. GREAT so far. thin, light weight. Perfect for front pocket. I do wish they had a extra card slot or two. GREAT JOB! This is the other item that I would love to have some color options. Thank you. 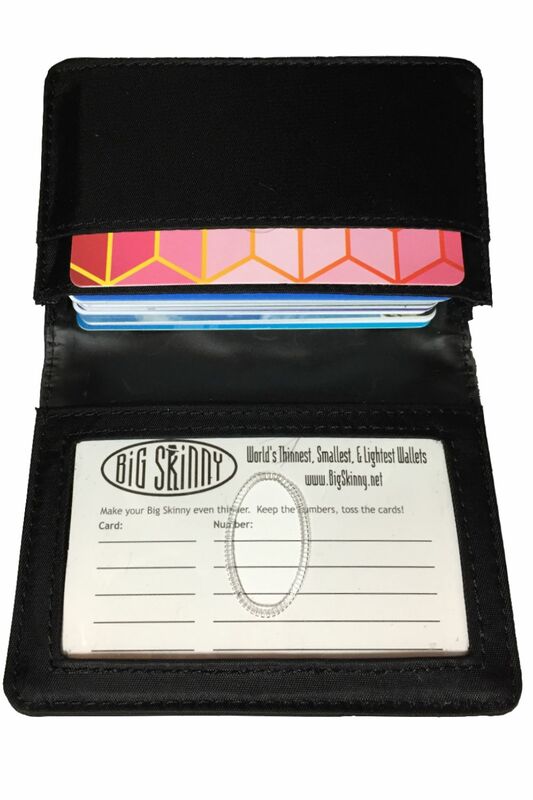 I like the dimensions of this wallet and the card capacity. Seems well designed and made, especially like the accordion fold of the main card pocket. The one annoyance is that label -- wish it was sticker thin or screen printed onto the fabric (better, printed on that inside card pocket). As is, label is bit thick and cheap when compared to everything else. Overall a great value. I got this card holder as a gift for my husband just recently. It definitely looks like it is well made, high quality material and is thinner than other card holders.